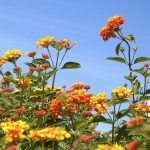 My Lantana plants are too big for the area where I planted them. How and when can I move them? Spring planting and division is preferable.